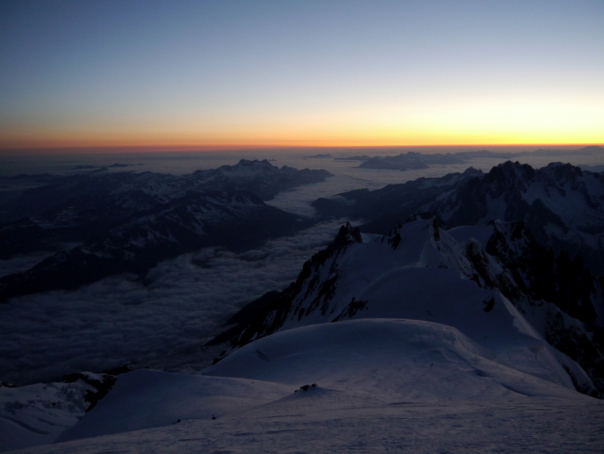 In the autumn when the Midi opens late and closes early, the options for day routes are quite limited. 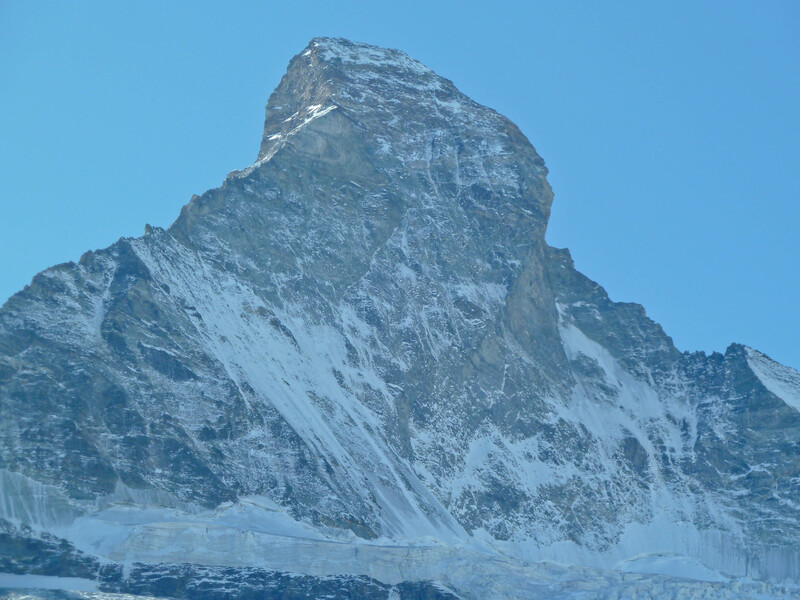 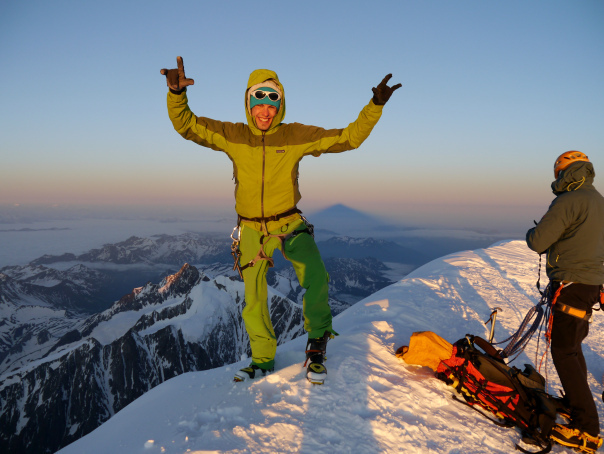 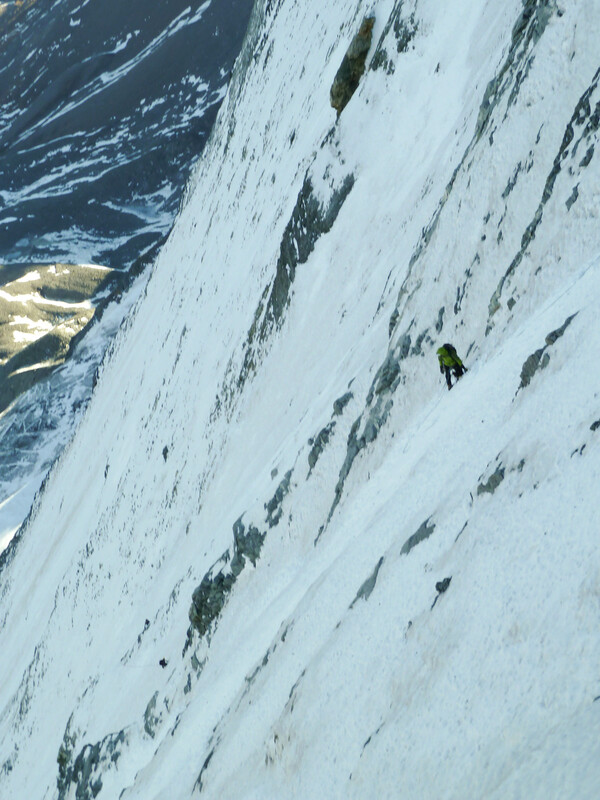 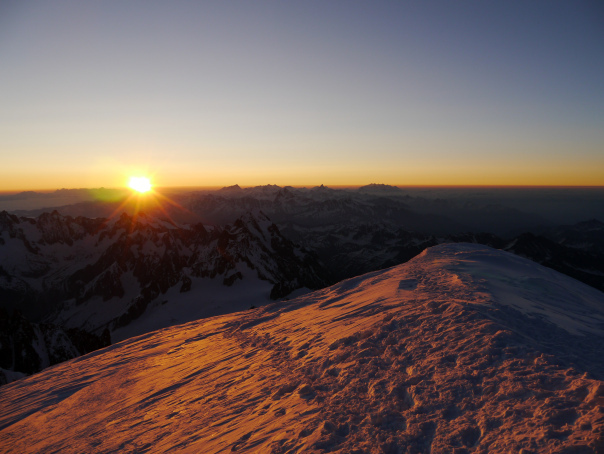 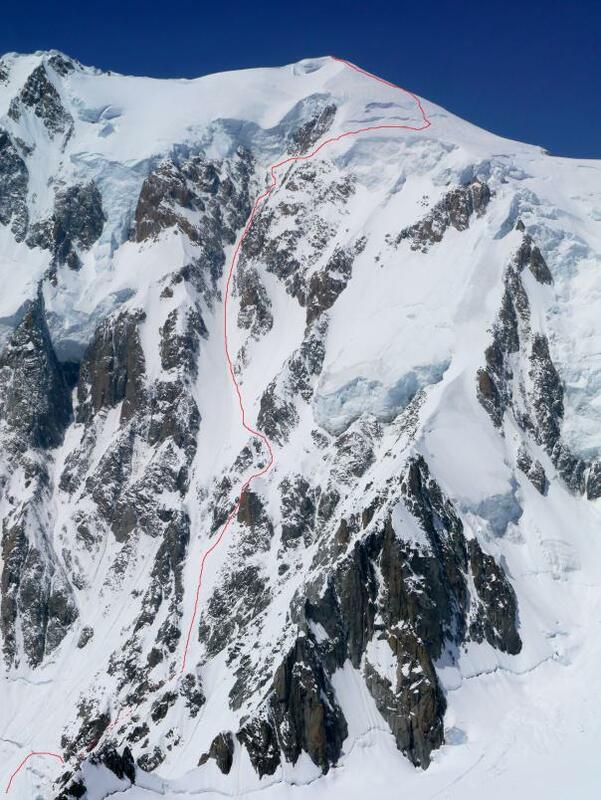 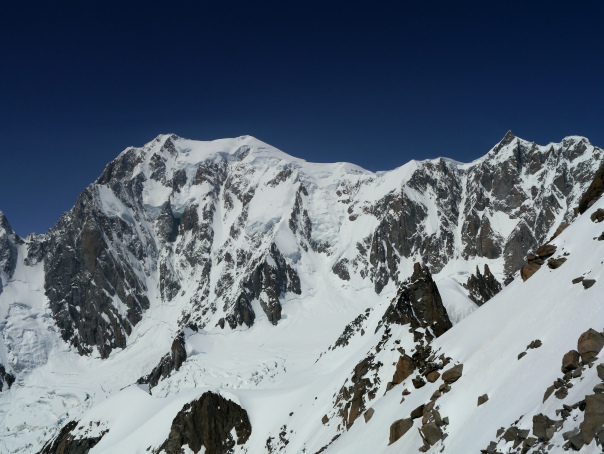 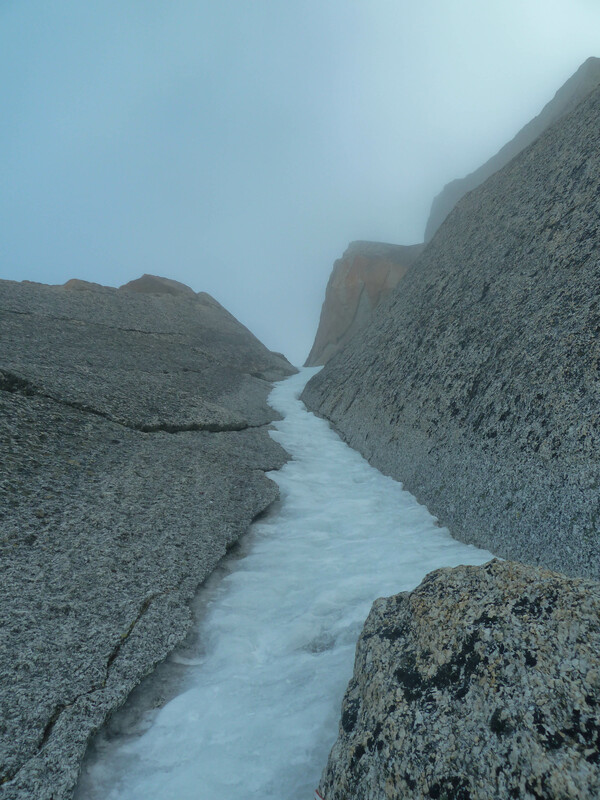 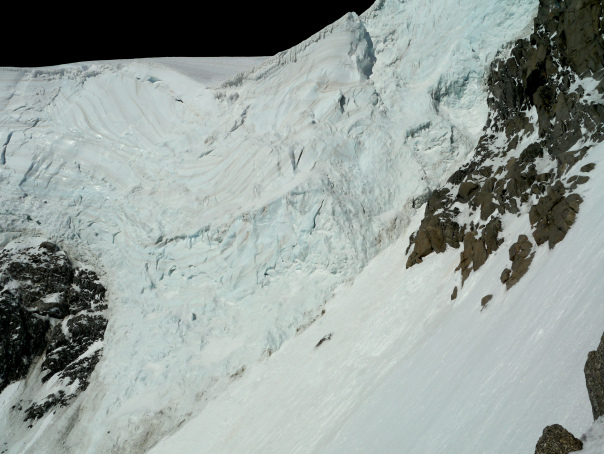 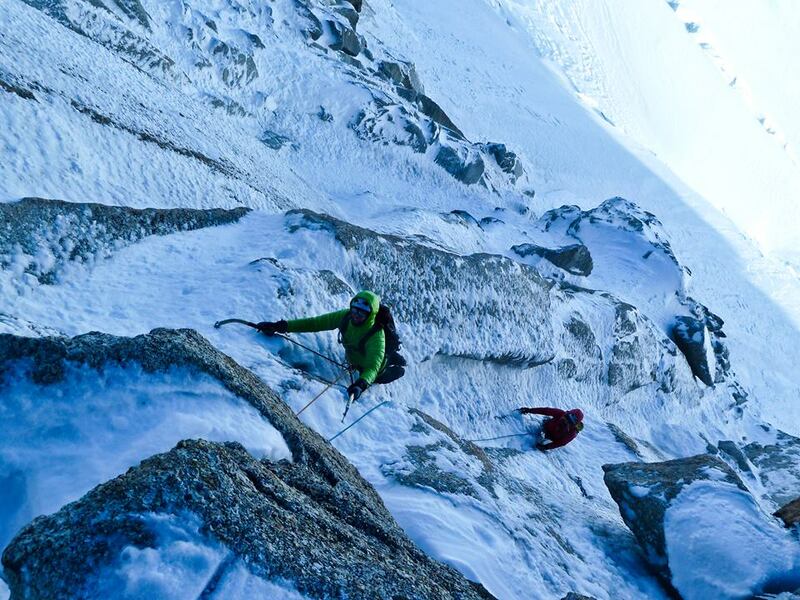 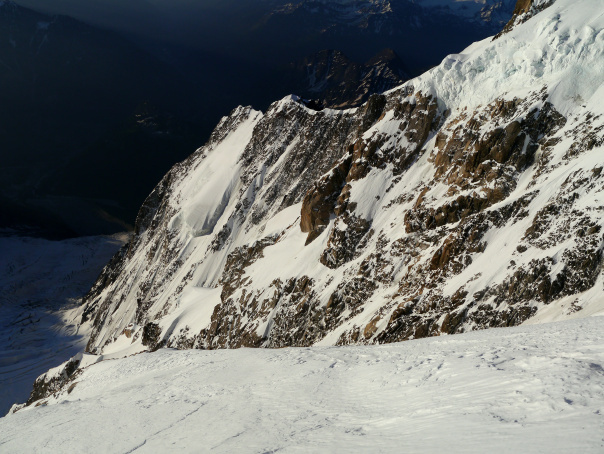 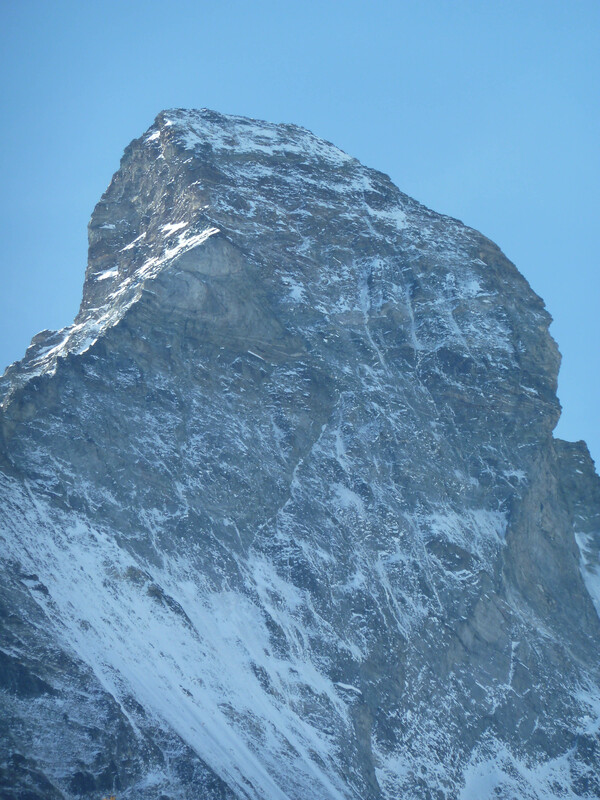 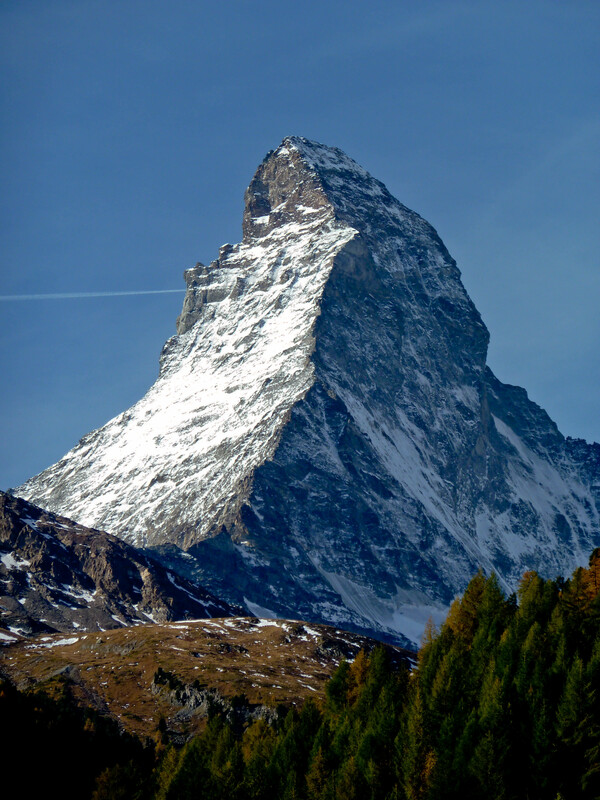 The Tacul Triangle offers some of the most reliable mixed climbing in the Massif and provides a perfect training ground for bigger objectives. 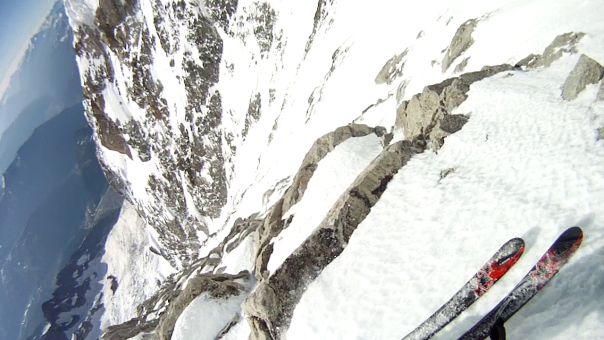 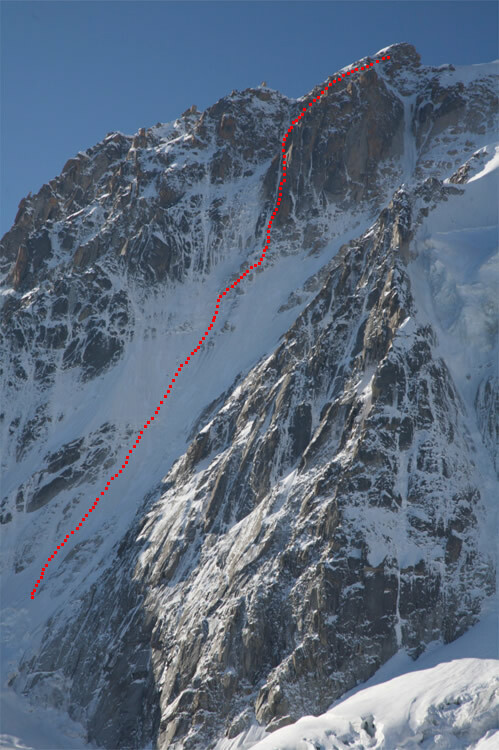 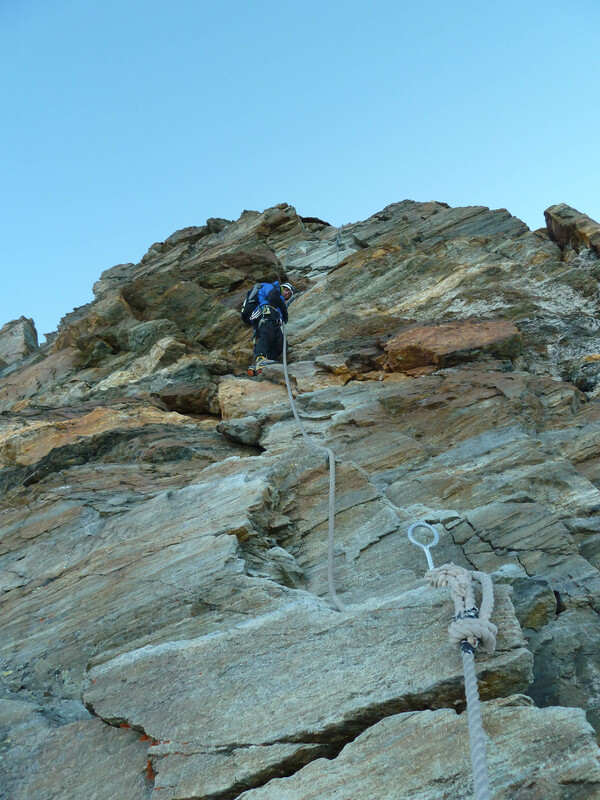 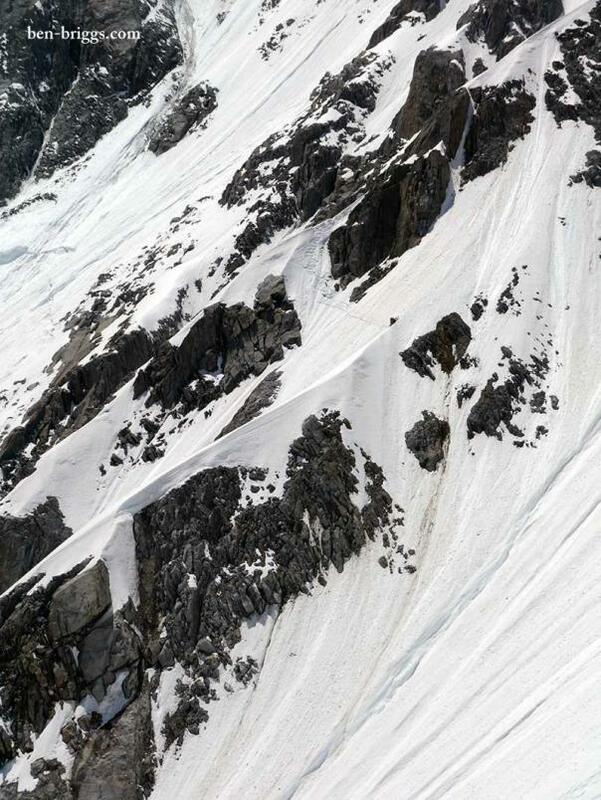 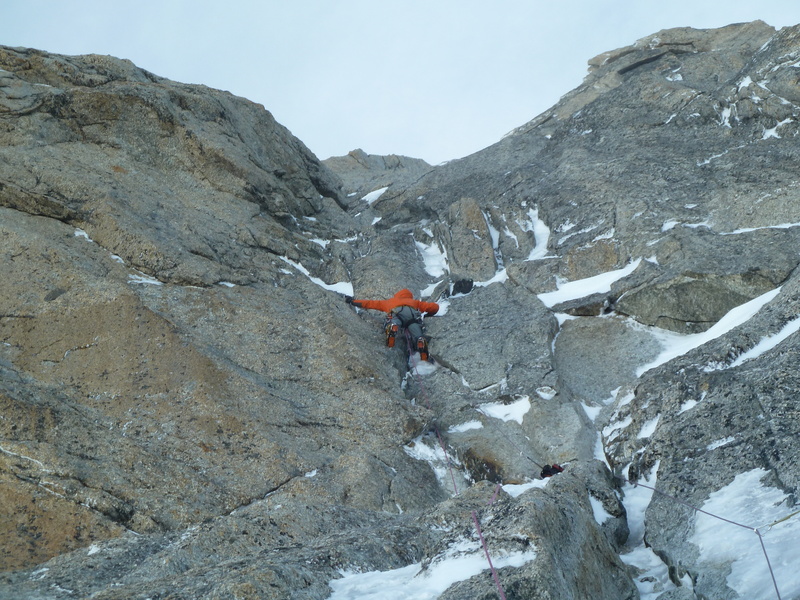 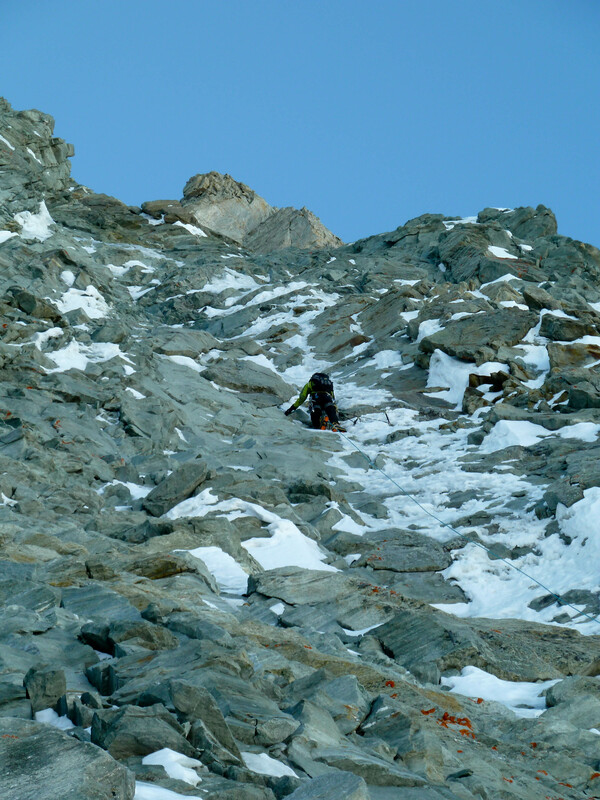 Besides the overcrowded and easy Chere gully, there are several very good quality 2-4 pitch mixed routes. 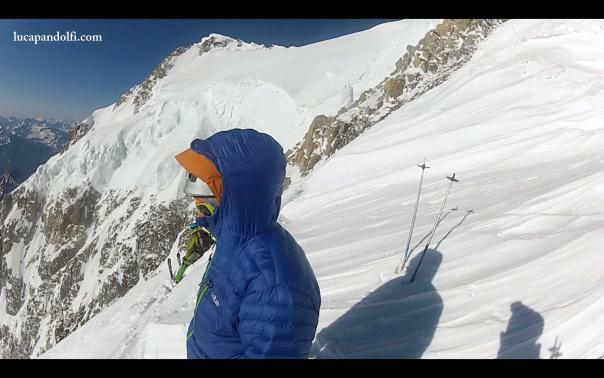 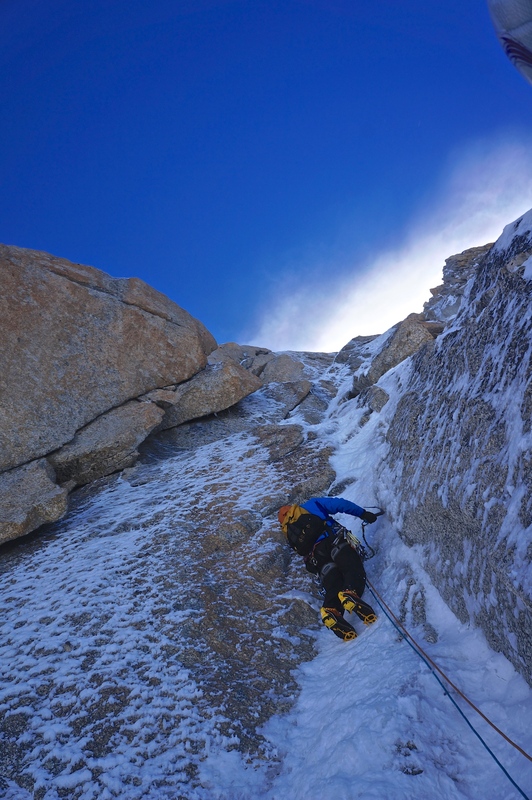 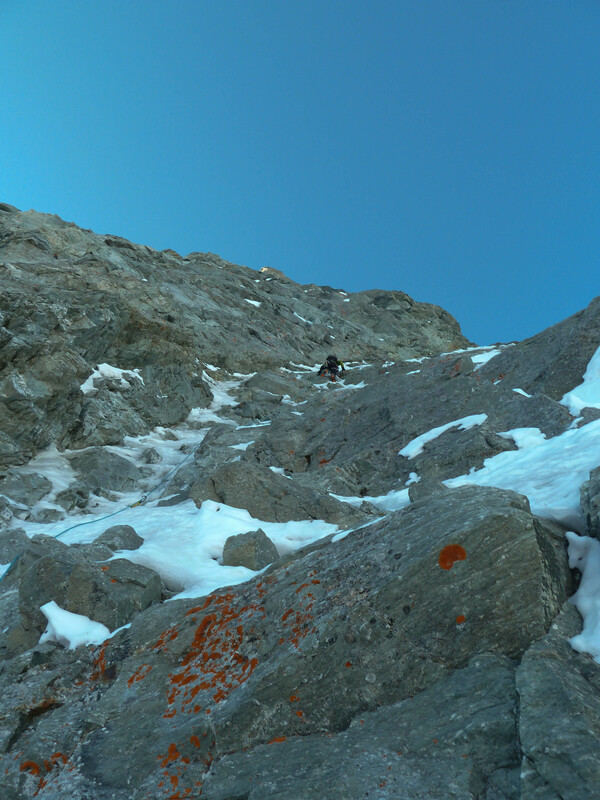 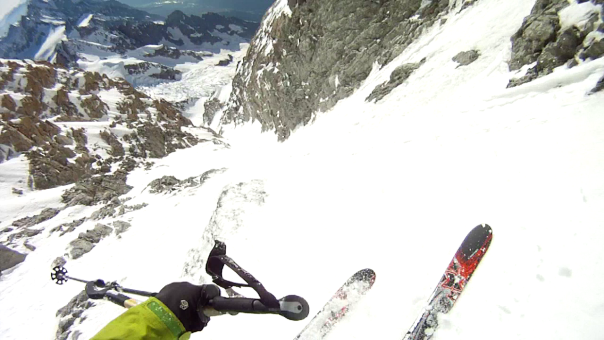 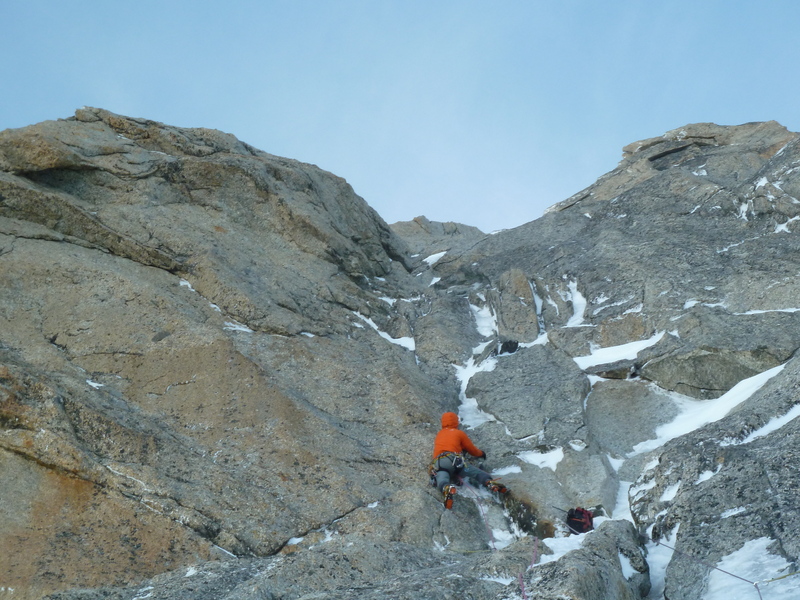 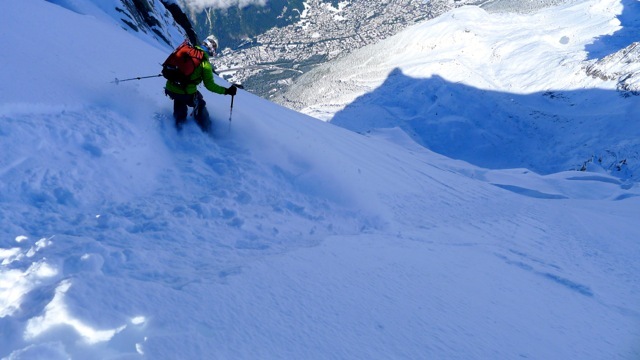 It is easy to seek out some spicy climbing, and it is equally easy to avoid it or bail from almost anywhere. 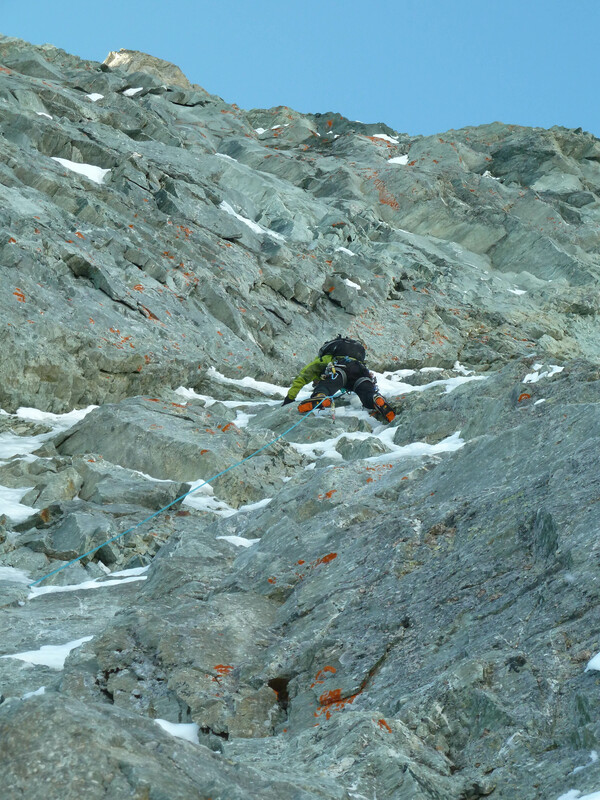 The quick approach means that you can get stuck into the climbing without stressing about missing the last bin down. 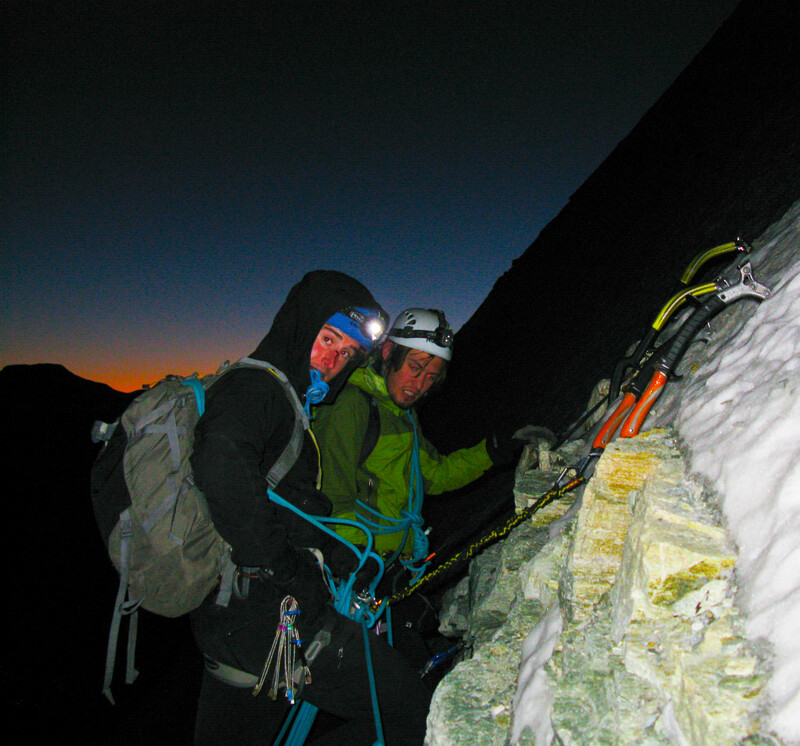 Dave and Liz seconding the 2nd pitch. 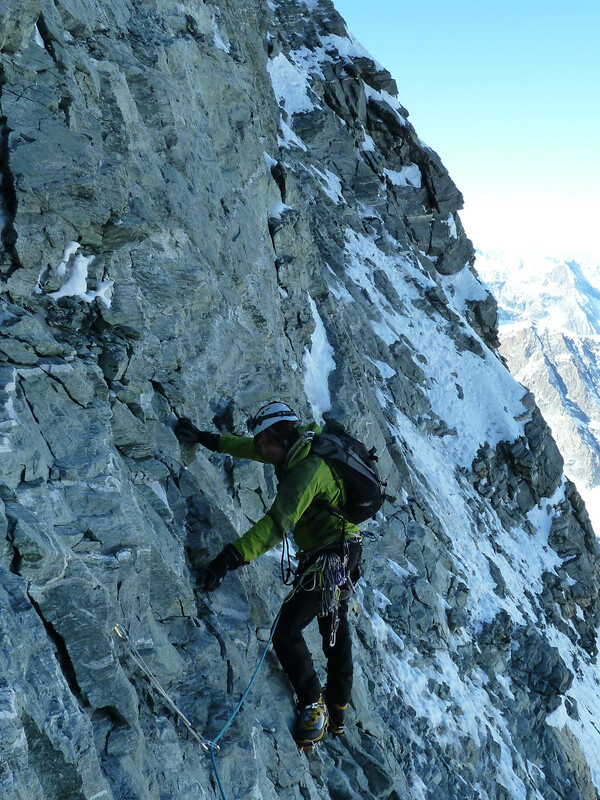 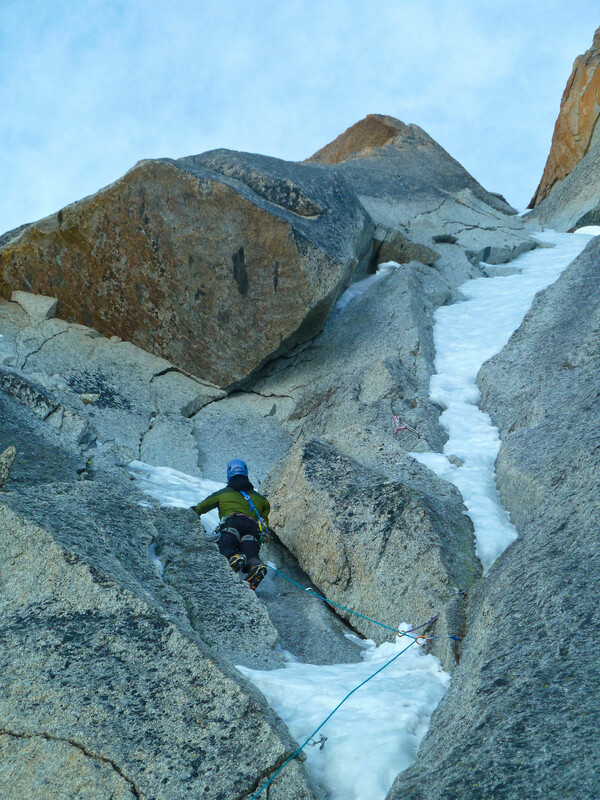 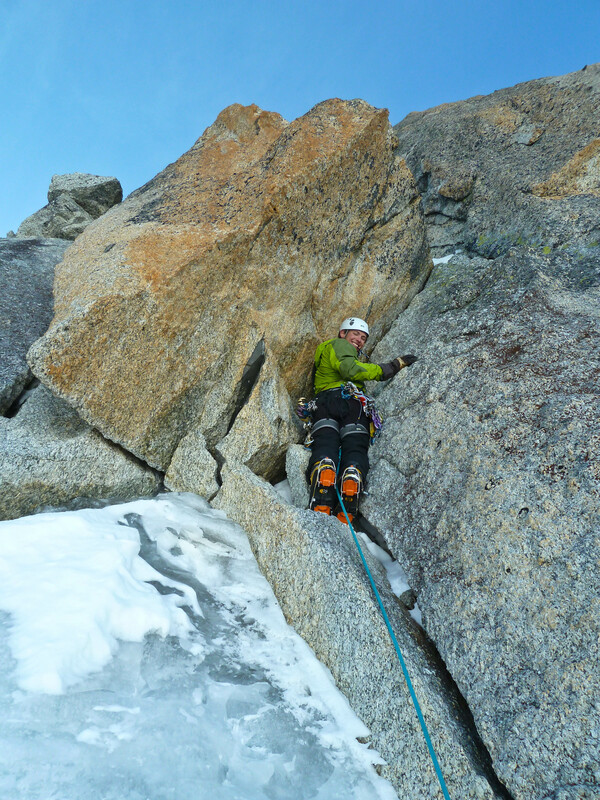 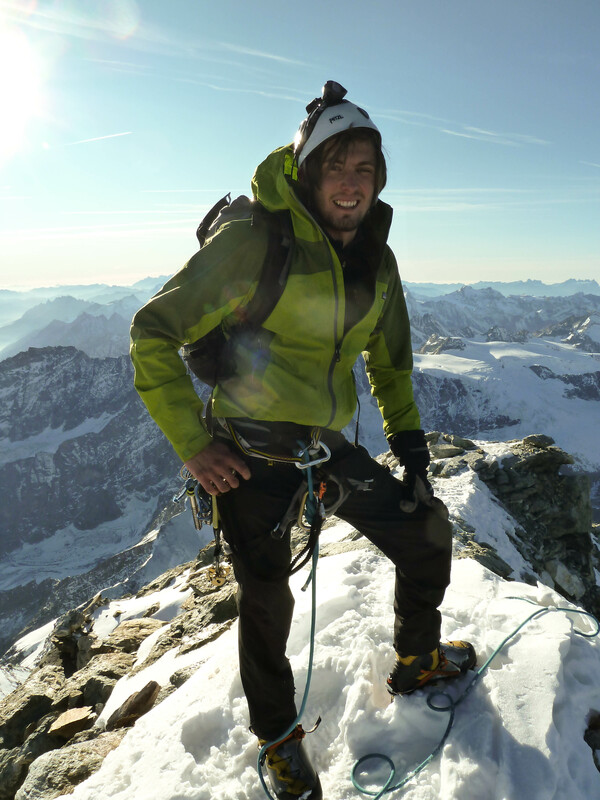 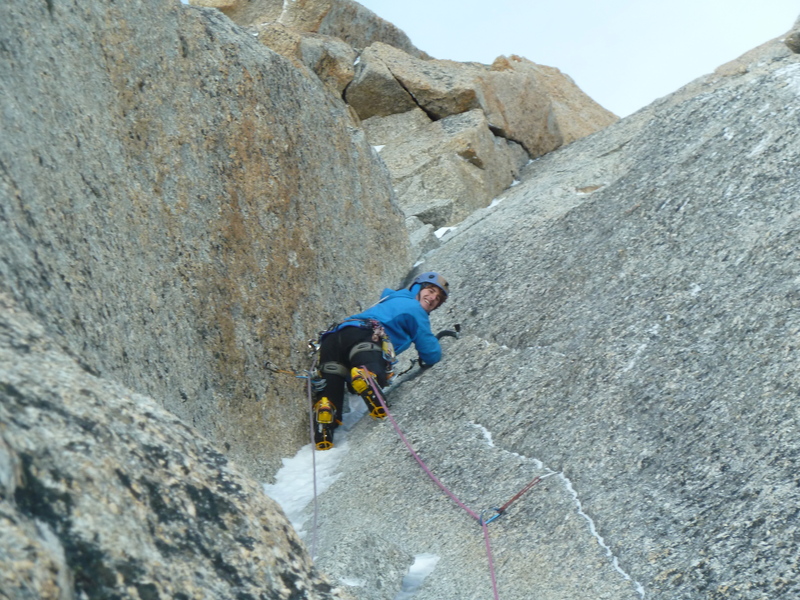 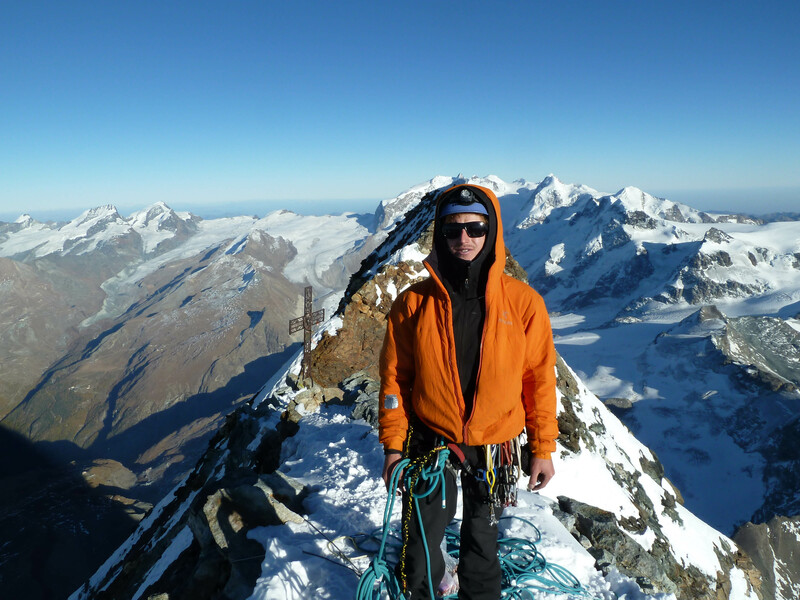 In mid October I headed over with Carsten for some more mixed cragging. 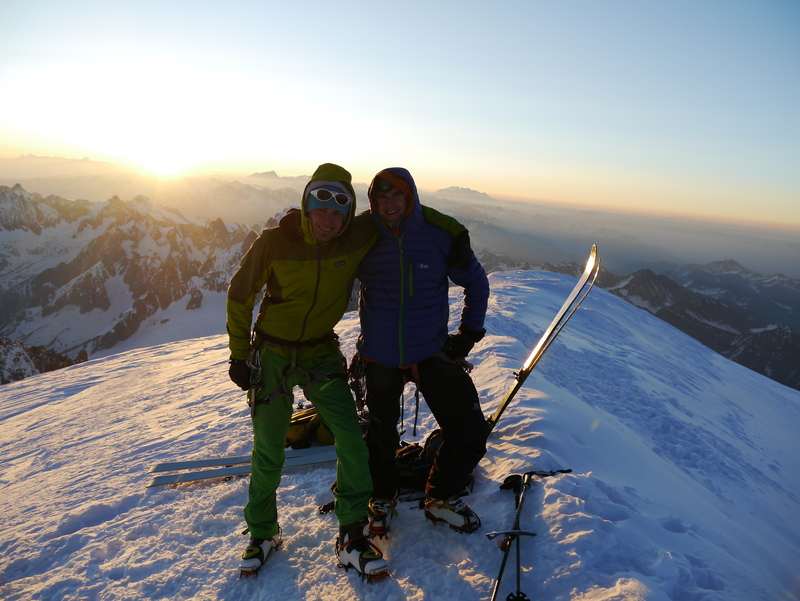 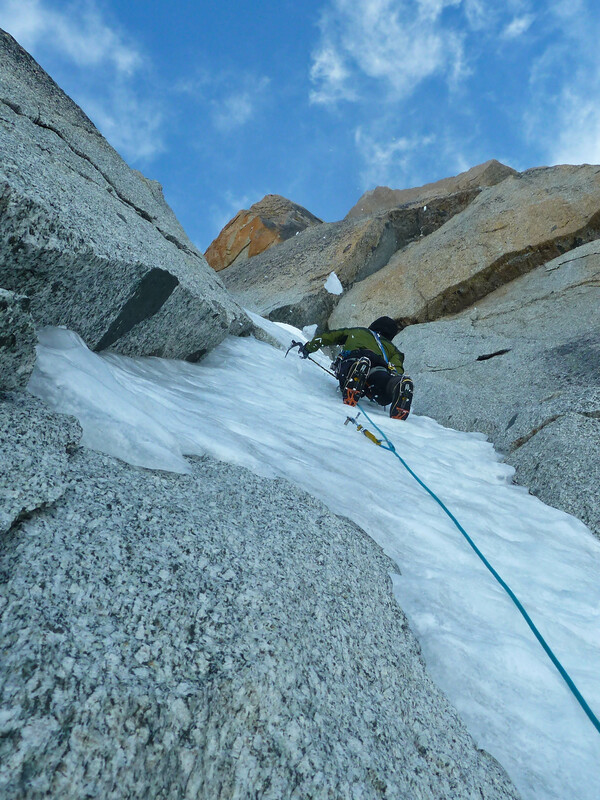 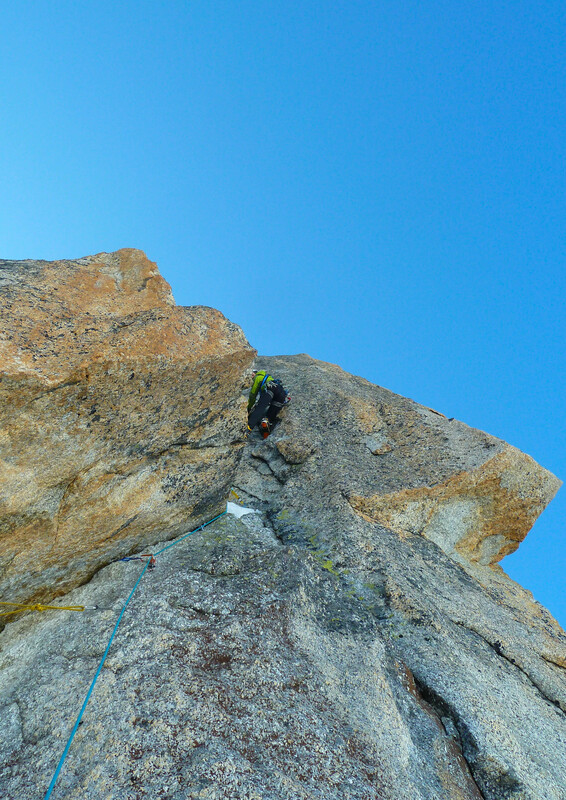 We climbed a superb 2 pitch route to the left of Temp est la Assassin. 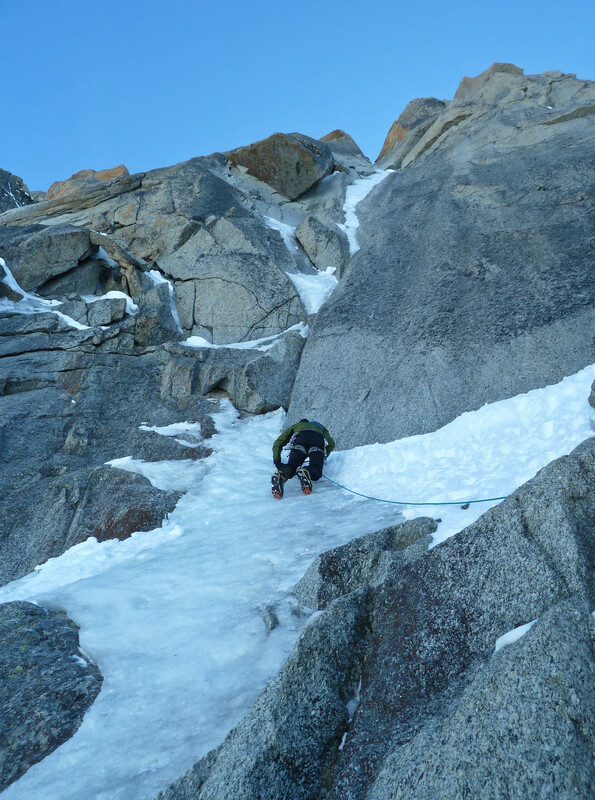 1st pitch was Scottish IV/V 2nd pitch takes a steep direct line up the mini headwall and was quite meaty, Scottish VI/VII. 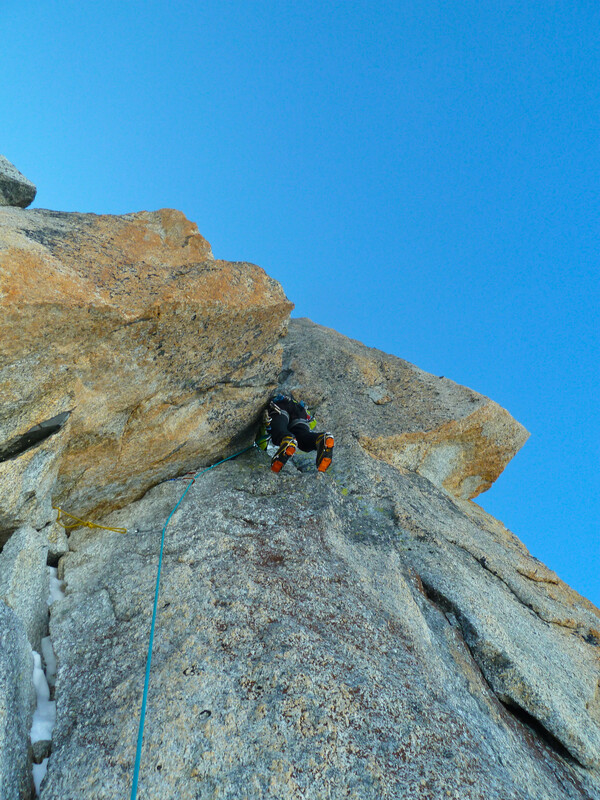 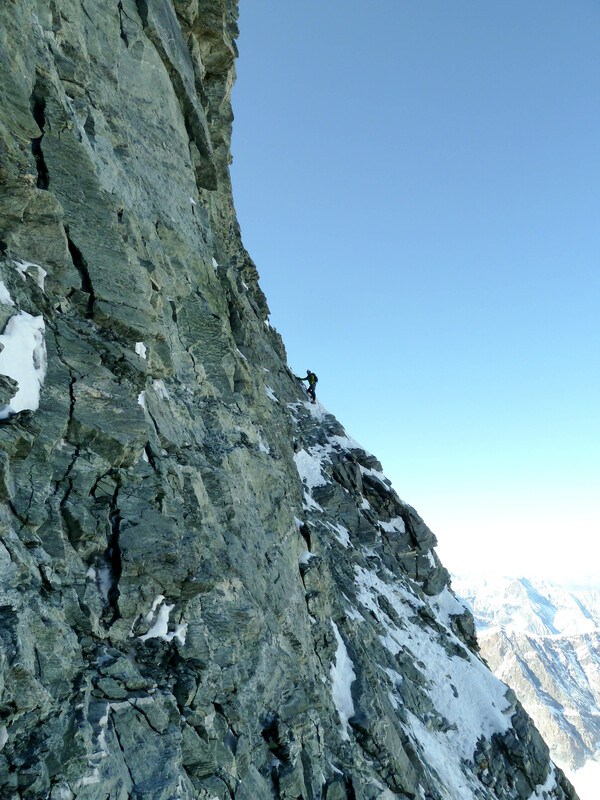 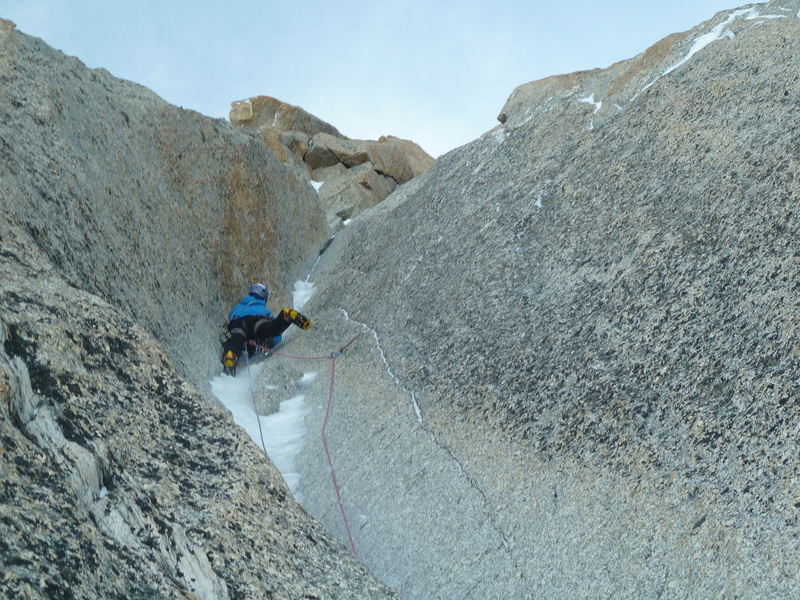 Me climbing the excellent corner pitch of Temps est la Assassin. 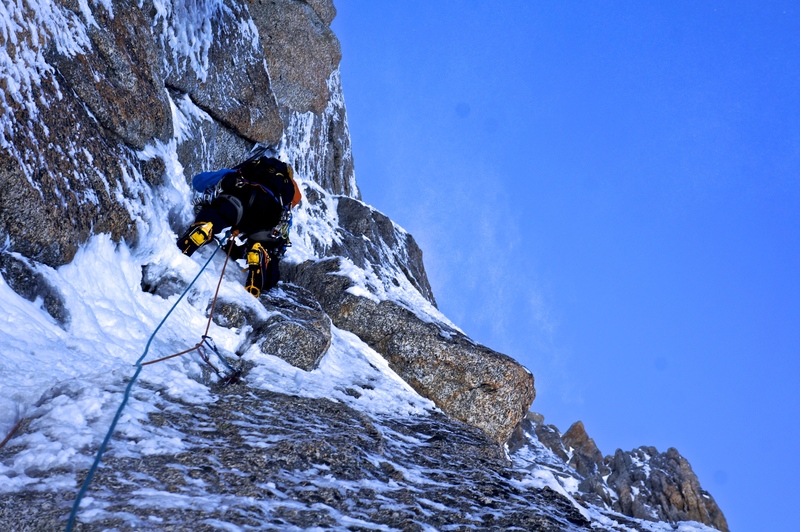 We rapped into this after climbing the above pitch. 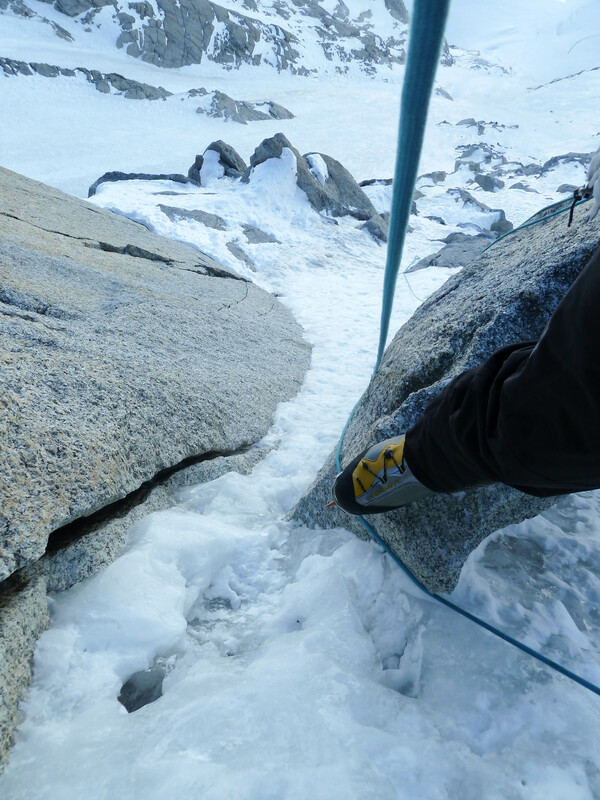 It is pitch 2 of Temps. 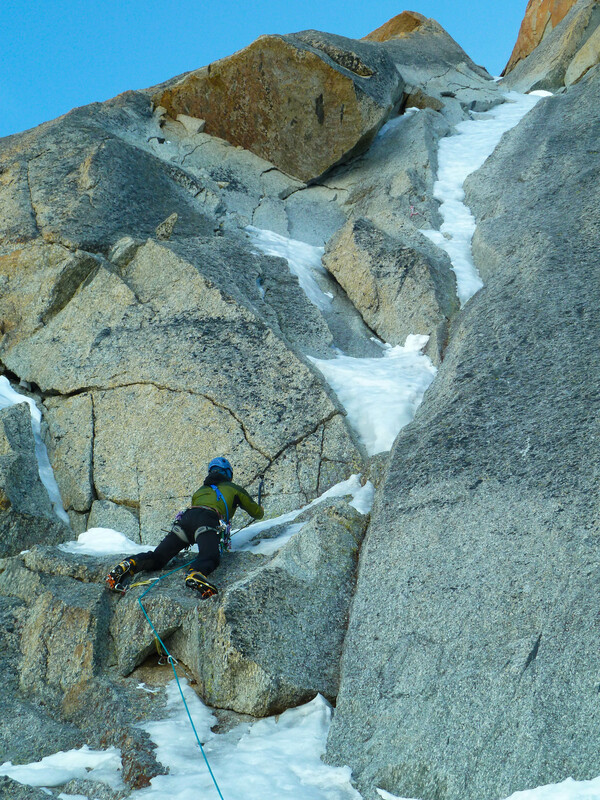 Similar difficulty to the above pitch, Scottish VI/VII. 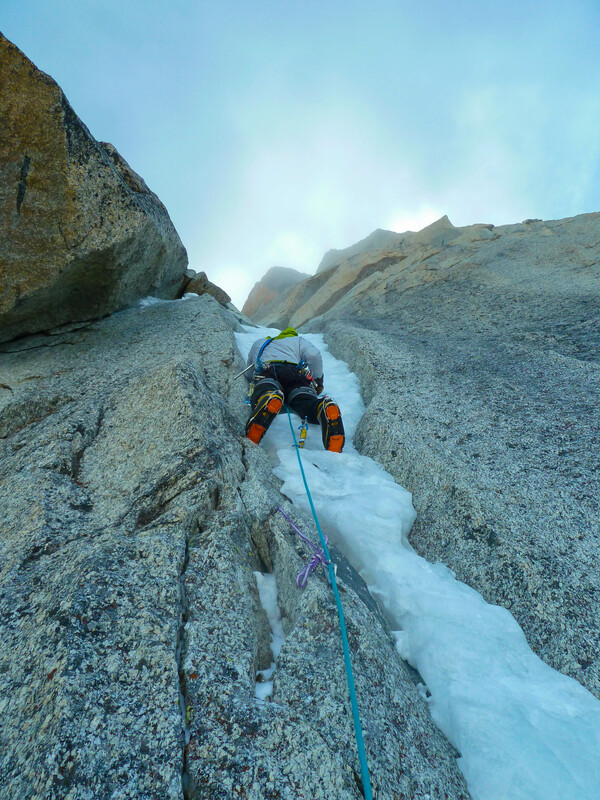 2 bolts ease the mind and if the crack is not too iced, a no. 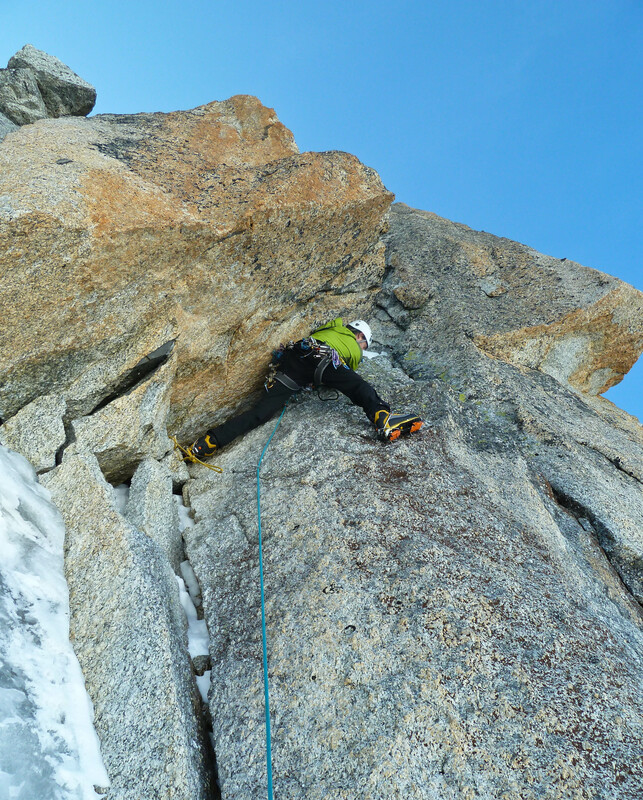 3 protects the crux at the top (bold if iced). 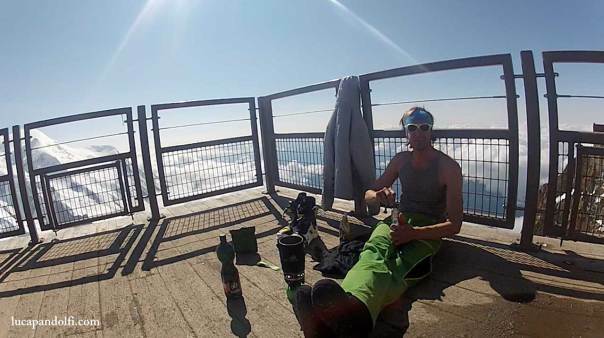 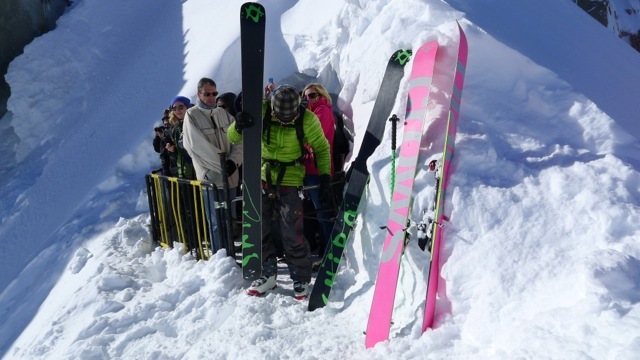 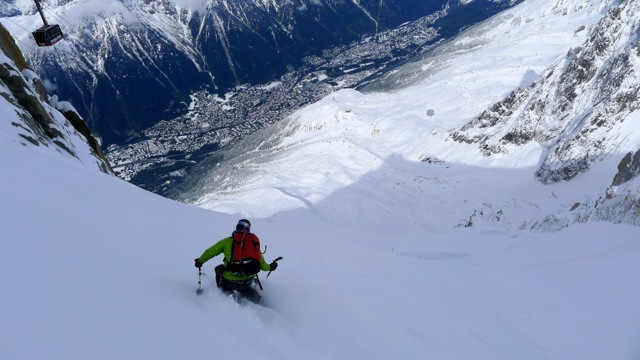 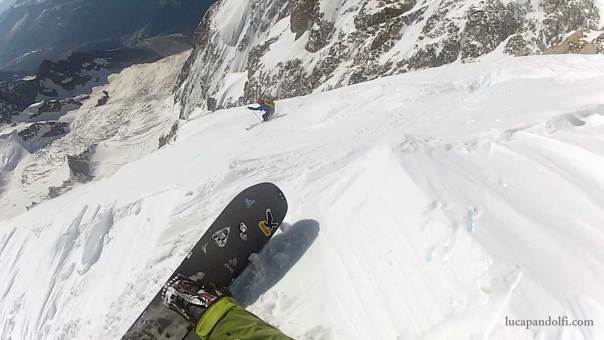 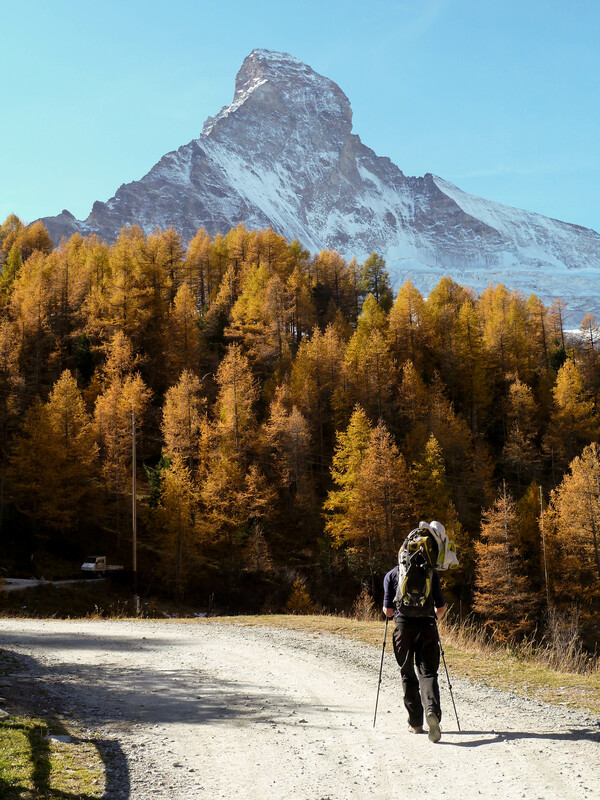 Great write up from Davide de Masi capturing what lift served autumn skiing is all about in the Massif.